Animal infected with ASF that shows hyperhemic lesions on several areas of the body. 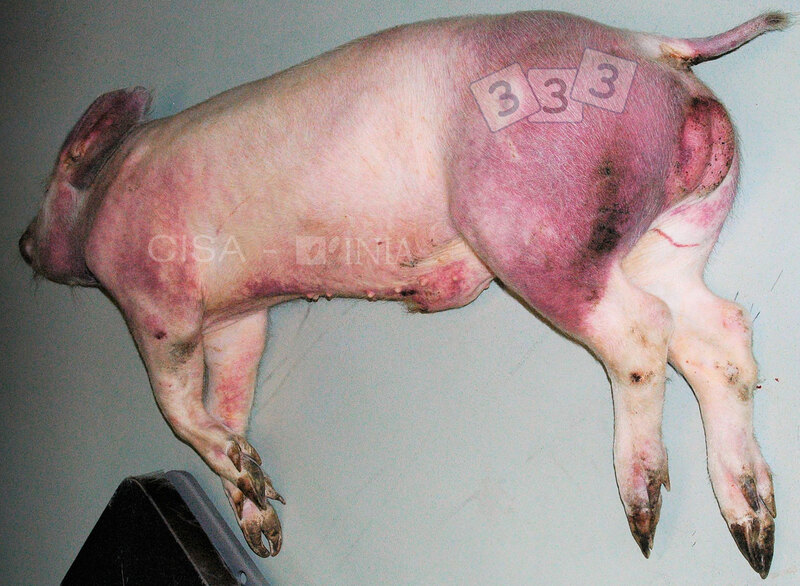 Several affected pigs were weak, lethargic and had a low appetite. This kind of lesions can be confused with many other diseases, such as classical swine fever, PDNS or salmonellosis.